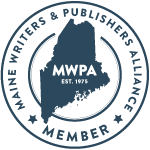 On the acknowledgements page of my novel, Other Wise, I’ve included a thank you to the Maine Writers & Publishers Alliance (MWPA). Specifically, I’ve thanked them for conferences, workshops, and community (the last being the most important to me), but they offer so much more. The yearly membership fee for MWPA is minimal and well worth it. (You can even pay more than the minimum if you have the means! Community is always about contributing to the welfare of the whole, after all.) And for that fee, the benefits are countless — some too elusive to articulate. Even though I’m not a crime or mystery writer, I attend the annual Maine Crime Wave conference when possible and always come away filled up and inspired. There’s nothing like being in the company of those who “speak the same language” for a day of workshops and panel discussions to keep the words and juices flowing. Back at my desk alone, I’m companioned by those I’ve met but briefly — buoyed by their encouragement and example. And as for the many and varied workshops? … I only wish I could attend them all. 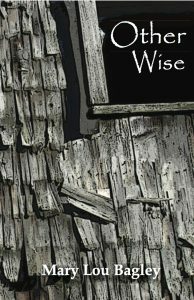 Fine writers abound in Maine and they generously offer their expertise and wisdom to any who reserve a spot. From the economy of flash fiction to the enormity of keeping the often unwieldy elements of a novel in line, there are workshops to address all needs. From day-long sessions to continuing courses and off-the-grid (or wall) retreats, MWPA has offerings for everyone. In addition to the quality of the presenters, I’ve found a fascinating synergy to the group that shows up on any given day. No matter the topic. No matter the extent of individual participation. There is value to simply being there in the mix. From social media groups to regional Gathers, MWPA is engaged and engaging. There’s a monthly platform for announcing newly published books (Ex Libris Maine), a listing of Maine authors with photos and bios, http://find.mainewriters.org , and much much more. Membership requires as much or as little involvement as you desire. I highly recommend that you consider joining this or another reputable organization of your choice. You won’t regret it. It’s MWPA for ME. What’s calling to you so you don’t have to go it alone? Time to Retreat … Again? NOTE: This is an older post I’m resurfacing for you. Why? Because I just signed up for a retreat on the Pemaquid Peninsula with Jodi Paloni in May. When synchronicity is at play, I’ve learned to pay attention. When the right circumstance comes along, I’ve learned to leap. 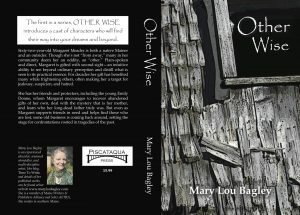 I’ve experienced a Jodi Paloni workshop through the Maine Writers & Publishers Alliance in the past. For me, the retreat descriptions that rose to my attention on her site – http://www.jodipaloni.com – made my soul sing. For you, the universe may have something very different in mind. When it dances along the periphery and lands in your sight line, consider leaping. Right now, as I draw within for my January hibernation, I dream of my emergence in May. A lovely B&B. A gathering of writers by the ocean. A gifted & generous facilitator. Time to write and renew. What are you dreaming … ? I just had to do that. I just had to take that moment to savor and sigh. I just returned from a writers’ retreat by the ocean. I feel rested. I feel reflective. I feel restored. I feel like writing. I can’t say enough about the benefits of retreats and workshops and this particular one included both. Offered by Anne Hollingworth of “Mermaid Retreats” in Maine, it featured an afternoon workshop with Rebecca Rule and lots of space and time to write. My intention for this blog post was another subject entirely. But, the fruits of this weekend’s deliciousness just had to be shared. I had a friend who always bristled when I suggested a writing workshop or retreat. She would say, “I already know how to write. Why would I waste time and money being told how to write?” To me that’s a sad example of closing yourself off to possibility and to community. 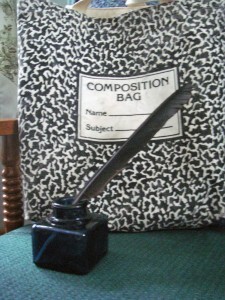 The workshops and retreats I’ve attended have never tried to tell me how to write. But I’ve always come away writing. Workshops, whether day-long or offered in a series, can be invaluable as motivators and energizers. Before I left for the weekend retreat, I spent the morning at a poetry workshop (the first in a monthly series) with Kimberly Cloutier-Green. I came away enriched and enlivened and ready to call myself “Poet.” Attending a poetry workshop was way outside my comfort zone and that’s why I went. I highly recommend such pushing of the boundaries that can limit us as writers and creatives. Offerings abound. You’ll find some right in your own backyard. Prices vary and there are even retreats that are free for qualified retreatants. Of course, I suggest doing a little homework in advance, especially when it comes to retreats. Consider the recommendations of people or organizations you know or respect. Read participant comments/reviews. Ask questions. What’s the facilitator/teacher’s philosophy? Is it compatible with yours? Because sharing our work or testing out our voice can be a fragile business, a responsible facilitator will create an atmosphere of safety conducive to mutual trust. Meditate on the rightness of it for you. Trust your instincts. Then go for it! Do you have a great workshop/retreat experience to share? Or a question? Please leave your comments or join me on facebook. The words of these and other wise teachers accompanied me as I put my novel, Other Wise, out into the world. Thus, when I found my first negative customer review online, it took only a moment for me to right myself. But it did take a moment. I acknowledge that first pang wholeheartedly. I acknowledge it as a valuable teaching wrapped in a wounding, however brief. Until then, I’d received a deluge of positive comments in my inbox and in person. A local book group gave Other Wise rave reviews and urged me to hurry up with the next one. I was flooded with relief as enthusiastic messages poured in. Readers were loving Margaret and this cast of characters who’d come through me onto the page. The metaphorical child I’d sent out into the world was being warmly received and embraced. Except, of course, by Judy, the Amazon customer who gave it three stars. The woman who only finished it because she had paid for it. The woman who found it slow and boring and would not recommend it. Actually, I thank Judy for her honesty in critiquing the book that did not speak to her need. She was the first but she will not be the only. And though I did not need her commentary to humble me, I needed to experience it and pass through it. I needed to remember, too, that the positive reviews are also not about me. This keeps me humbly grateful that I get to live the writing life. It reminds me to stay fluid and awake to those great moments of which Natalie Goldberg speaks. It reminds me to keep sending those captured words out, trusting they will find those who need them — those who will take them into some deep corner of their being. A corner that has nothing to do with me. You hit the nail on the head when you said it just didn’t appeal to her. Can’t please everybody all of the time…I just read a cozy novel that received many good reviews that I disliked immensely. Meanwhile, think of Kate Morton, world-renowned author, about the release of her most recent book The Clockmaker’s Daughter….many fans of her books are giving it negative reviews by indicating it was too long with too many characters. She’s been a favorite author for so long, the recent reviews must be very difficult to process. 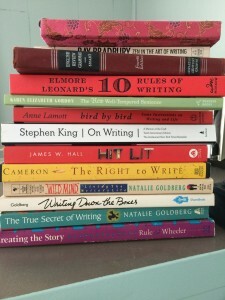 Keep writing on with the next in the series!